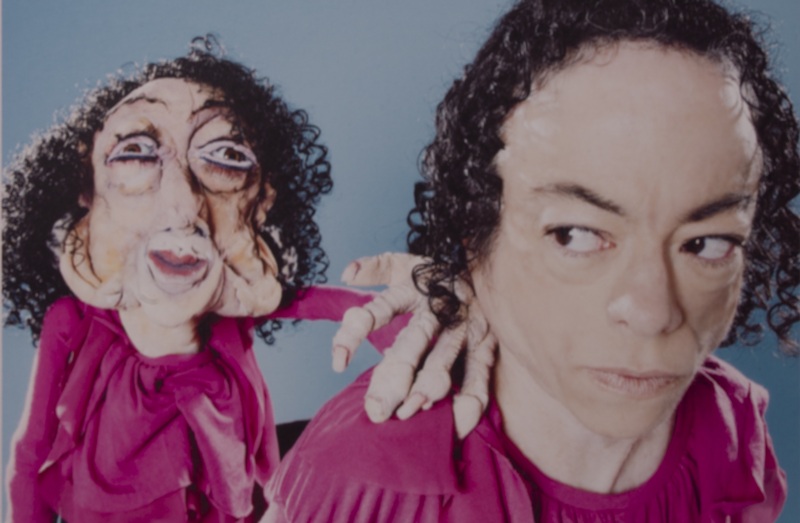 In 2005, Liz performed stand-up with the show “Abnormally Funny People”, well-received and famous for its droll humour and satirical take on disability. Liz later went on to develop her own solo comedy show titled “It hasn’t happened yet” which reflected upon her experiences as a disabled comedian. Since then, she has been runner-up in the prestigious “Hackney Empire New Act of the Year” competition, and has performed all over the world, forging a successful career in mainstream comedy and queer cabaret. Liz is perhaps one of the most famous faces in the Archive due to her regular media appearances and established TV profile. She co-hosted the BBC Ouch! Podcast with Mat Fraser, and with their caustic wit at the helm BBC Ouch had a regular and substantial following due to its forthright engagement with a range of controversial topics. In 2012, Liz landed her first TV acting role as Clarissa Mullery in the landmark BBC drama “Silent Witness” and is now a regularly featured character. She also wrote and appeared in the 2016 Unlimited commissioned show, “Assisted Suicide: The Musical”, an Unlimited touring and Southbank Centre hit. Outside of her life as a performer, Liz is also a campaigner and activist. She was a member of DAN (Disabled People’s Direct Action Network), a group which engaged in non-violent direct action and civil disobedience and achieved considerable success in its campaign for accessible transport. Liz is also a leading light in ‘Not Dead Yet UK’, a campaign which fights against introducing new assisted suicide legislation in the UK.